There are number of website creators are available in the markets. But recently I came across one of the best and very easy Website Creator, IM Creator. If you don’t have any knowledge of website design then don’t worry, IM-Creator is available for you. 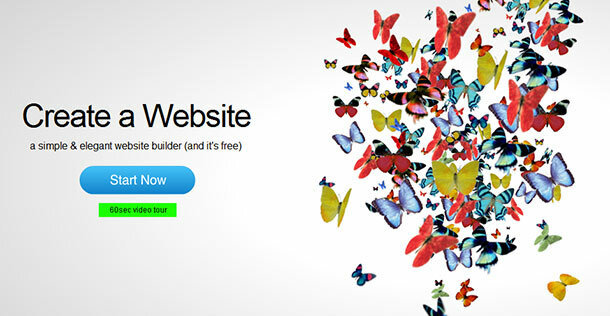 IM-Creator is a brand new way create your website. It’s very simple process, just select a website design from the available list, insert your content and publish it to the world. You can create gorgeous websites with this tool, for your business, your neighbor with their easy drag and drop HTML website builder. IM Creator tool is free to use, though it requires registration once you start designing a website and want to save it. Upon launch, you’ve got a choice of website templates based on categories, such as restaurant, photographer, hotel or bio. You can even skip the templates and begin over completely from scratch, that is what I did. So how exactly IM Creator works? Every month official team publish a large number of new website templates to fit your needs: portfolio websites for designers, photographers and artists, websites for professionals, websites for restaurants and more. You can check all the available templates and choose the design that will fit you best. All templates are wisely-structured and come with compelling and relevant content, so they’re pretty close to completion. Our goal is to provide you an “almost-done” site. After selecting a website design, or template, you can begin inserting your articles or content. It’s all very simple. Simply click on the element you wish to edit and insert your content. IM-Creator will then adapt your articles to the existing design, hassle-free for you. All of our designs come with suggested structure and pages. However, you can always change it as you like and add/delete pages. Simple and flexible. If you encounter any issues between the process of creating websites, click on the “support” tab and IM-Creator support team and community will be there to assist you. So guys, start now, creating the website is free of charge.Share your views about IM-Creator with us via comments below.